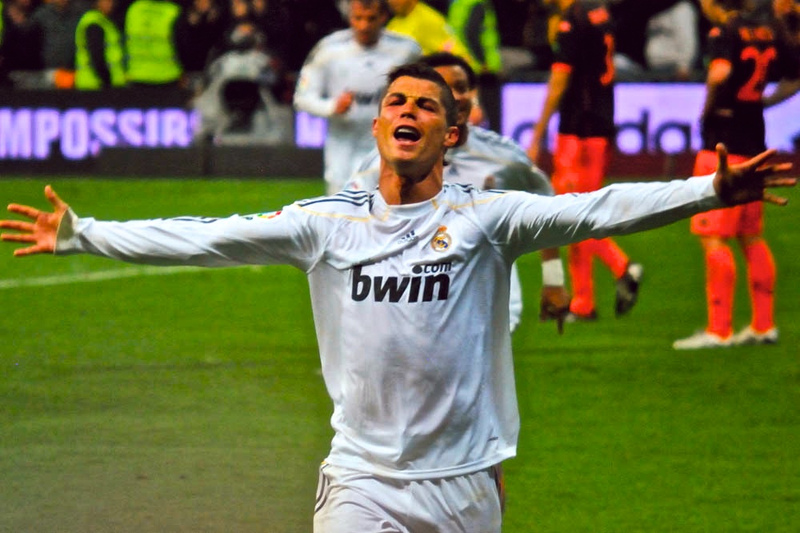 Not content with banging in the goals for Real Madrid on a regular basis, it seems that Cristiano Ronaldo has been slaving over his computer (yeah right) to design a revolutionary 5-a-side football competition for us all, which launched on 5th November 2013. The 5-a-side world is pretty well served already with numerous competitions and providers, but when football’s greatest tantrum thrower turns his attention to it, we’re paying attention. Who knows how many weeks of planning and debate went into it before they eventually arrived at the name, but finally Ronaldo appears to have named his competition with the inventive title of ‘The Game’. Interestingly, that’s also the title of a book by Neil Strauss purporting to teach the men of the world how to pull women with ease. But of course Cristiano already pulls the women with ease and has no such need for a pickup manual, so it’s understandable that it didn’t cross his mind that he’s named his competition after the same thing. Describing its self as ‘the biggest football championship ever’, The Game pits real world 5-a-side players and teams against each other in a ‘ladder’ style competition. Open to men, women and youth (as long as you’re over 15), you put together your squad of up to 9 players, enter your details on-line (with a mandatory photo) and then look to start arranging matches against other teams. The Game is a global competition and in theory you can take on anyone across the world, although the system will allow you to find teams in your local vicinity. However, The Game subsequently announced that this game is only going to be played initially in 10 cities around the world (see below for more details). Your team starts the competition with 1,000 points and can gain points for winning a match, but lose them for a defeat. The higher above you a team is ranked, the more points you’ll take off them for beating them. And equally, if a team has a much lower ranking than you, you won’t take lots of points off them for what should be an easy victory. The theory is that this will encourage you to look for teams that you’re reasonably evenly matched with. You can play as many matches as you want, although if you want to play more than a limited number of games per month you have to buy ‘virtual coins’, which sadly do cost real money (or buy a pro subscription that lasts you 1 year). It’s a 5-a-side competition but there are no specified formats for the matches, that should be played in a ‘framework that players are accustomed to’. This acknowledges that this may be with or without a referee; ‘in a stadium or on the beach’. It does, however suggest that games are around 20 minutes each half and conform to the FA’s official rules for small sided football. Teams are expected to organise their own matches against other teams, including splitting the cost of venue hire, if applicable. After the match you report the scores, log your stats (i.e. the goal scorers) and also report any foul play / teams not turning up etc (which leads to that team losing points). The website suggests that prizes will be on offer and that there will be national, continental and world champions (finals to be held in Dubai) from time to time although details on exactly when these will take place have not been announced. Update (6 Nov 2013): The first round will run from 20 November 2013 until 20 January 2014 and will only be played in the The top 10 cities in number of registered teams (minimum of 100 teams in the city). Teams in cities that don’t make the top 10 look like they will have to wait until a future date. As of 6th November, it’s also not clear what the prizes for this initial round will be. 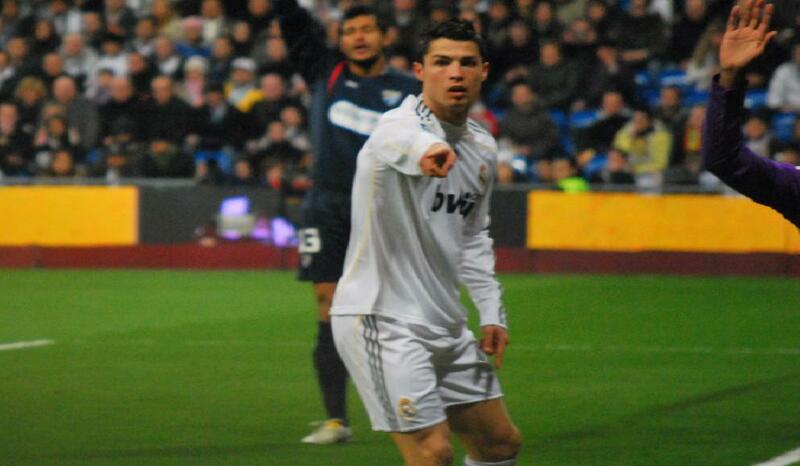 Ronaldo wants you to be part of The Game, even ahead of these two other volunteers who raised their hands first. That’s the big question. There are a couple of different websites that we’re aware of which have tried to do this sort of thing in the past. None of them, however, have been anywhere near as ambitious as this, and as far as we’re aware none have been global. Having Ronaldo behind the marketing will certainly bring a bit of credibility to it and no doubt draw in a fair few players who otherwise wouldn’t give this a second look. How much involvement he has actually had in this remains to be seen. The games aren’t organised by any central coordinator, so players need to arrange their matches with other teams as well as their own teammates, and book a pitch if needs be. Organising football can be challenging at the best of times, which is probably why so many of us hand a lot of the task over to one of the many league providers (Goals, Powerleague, Leisure Leagues, Football Mundial etc) so we just know when we need to turn up each week. If the organisational aspects of this don’t work easily enough, it might prove too frustrating. There are no standardized rules and no referees provided. Whilst this is unlikely to lead to your team being invited down to the nearest abandoned warehouse for a game where everything but eye-gouging and fish-hooking is allowed, the possible difference in formats that you could face could prove frustrating. On the other hand, maybe you’ve been crying out for some variety. If you want to play more than a limited number of games each month you’ll have to pay. If the system works, and gives value for money then people will pay it, but the one hand players might resent lining the pockets of the world’s highest paid footballer (reported to earn £288,000 per week, after tax!). Getting enough players and teams signed up is going to be critical to the success of this. Very few teams are going to enthusiastically log on each week searching for an opponent to play if they have to travel long distances to other cities, when it’s quite easy to get regular games of football each week at your nearest football venue. To try to get over this, the organisers are only initially making this available to 10 cities where 100+ teams have signed up. Don’t get us wrong, we’re not saying this won’t work. It’s easy to sit on the sidelines and throw stones, but that’s not what we’re trying to do at all. In fact, we welcome this competition. If they get it right then this could be a fantastic competition, with the global element that has yet to be brought to the disjointed 5-a-side community. Perhaps some of the existing 5-a-side venues will promote this competition outside of their usual leagues (and hey, it might help increase the business they do). Anyway, it’s a novel idea and something that we’ll be closely watching. It’s easy to imagine this appealing particularly to school-age and teenage audiences who have the flexibility to organise these matches and cope with the organisation and possible irregular playing schedule. Some will say this will never work, but that reminds us of watching Ronaldo in his first season with Manchester United and thinking that he was nothing more than a show-pony, performing endless step-overs with relatively little end product. He’ll never be a top player, we thought. Four Seasons later and he was scoring 42 goals in a single season and scooping all of the accolades available! It just shows, you can’t tell how things are going to go until they’ve had some time to develop. If Ronaldo has half the success with this competition that he’s had on the pitch then this is going to be one to watch! From precocious show-pony to one of the world’s best players. Can The Game achieve similar success? Is your 5-a-side team going to try this out? Let us know how it goes in the comments below.